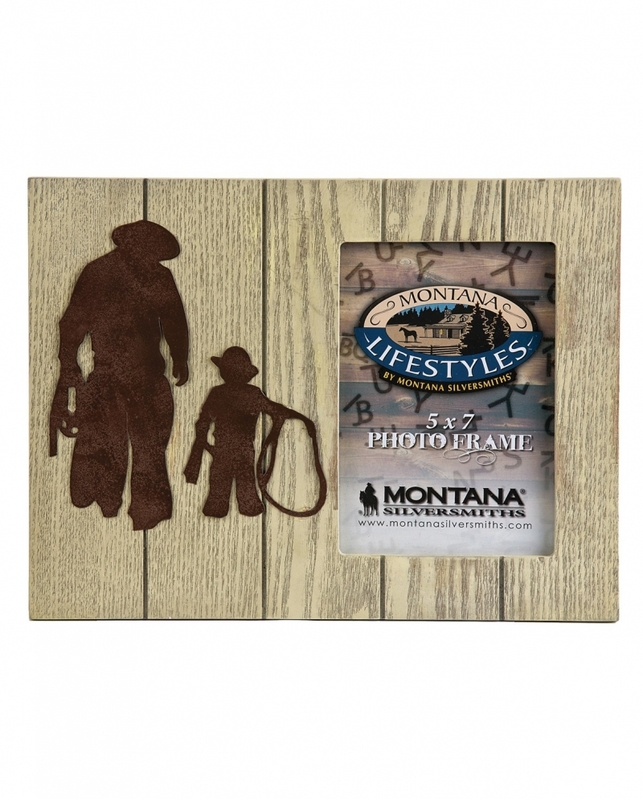 This wood picture frame has a silhouette of a man and his boy going roping. It holds a 5" x7" photo. Imported.